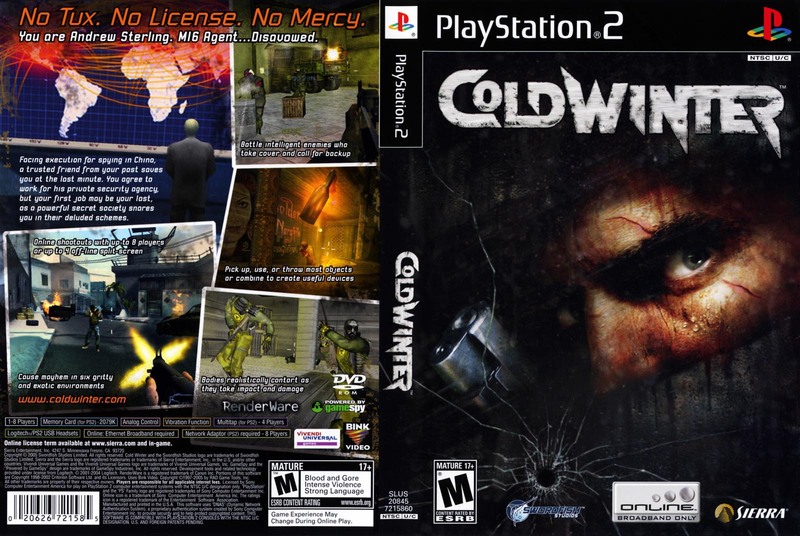 Cold Winter could have been another generic first person shooter where you kill terrorists in city streets and military bases using pistols, assault rifles and grenades. However, its designers paid attention to detail, making this one of the best PS2 shooters. The story may not seem exciting at first: you are a spy assigned to prevent a terrorist from selling a weapon of mass destruction in the Middle East. There were also some cut-scenes, which made me wonder how they were connected to the hero. Nevertheless, the story‘s development is not superficial. The relationship between the hero and his female colleague, who saves him from a Chinese prison at the beginning, as well as the cut-scenes create something bigger. Not only do the cut-scenes form the context of your own quest but they also give it a deeper meaning. It is no surprise that Cold Winter was written by Warren Ellis, a well-known comic book writer. Although most of the plot is simple, the dialogues and major events are thought provoking. The gameplay is standard shooting action, nevertheless, it is very refined. 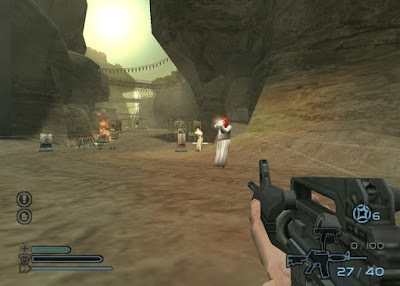 The level design, weapons available and enemies offer an experience that never becomes dull. Your foes will often charge at your position, so it is better to wait behind a corner. I liked hearing their footsteps to know they are coming. Killing enemy snipers in a gorge or blowing barrels to catch foes in the explosion were satisfying moments. Dead soldiers provide you with new weapons, ammo or armor and your health can be replenished as many times as you like if you find a safe spot to rest. As a result, Cold Winter can be completed even by rookie gamers. In fact, I had to raise the difficulty above normal to have a challenge and I certainly do not consider myself a skilled gamer. Most locations, such as apartments, alleys or desert areas, are in the Middle East. The graphics have enough variety and show the programmers knew their job. The animation is of top quality while the effect of blood stains on the wall when you shoot someone is great. The sound is very good too, including excellent voice acting, which makes you think you hear real characters, and cool music tracks, such as the one playing at the menu screen. The control is perfect, as Cold Winter utilizes the standard formula of the genre. Besides reloading, changing weapons, etc. you can move objects and use them as cover. Sprinting is another function, which gives you the ability to escape from danger quickly. The level design is not complex but it is not completely linear either, so, navigating the various stages is interesting. The game allows you to mix components into new items, such as bombs and lock-picks, however after a while I found this redundant. Notes left by enemies in various places add a touch of realism to the game’s world (they may even contain a clue). 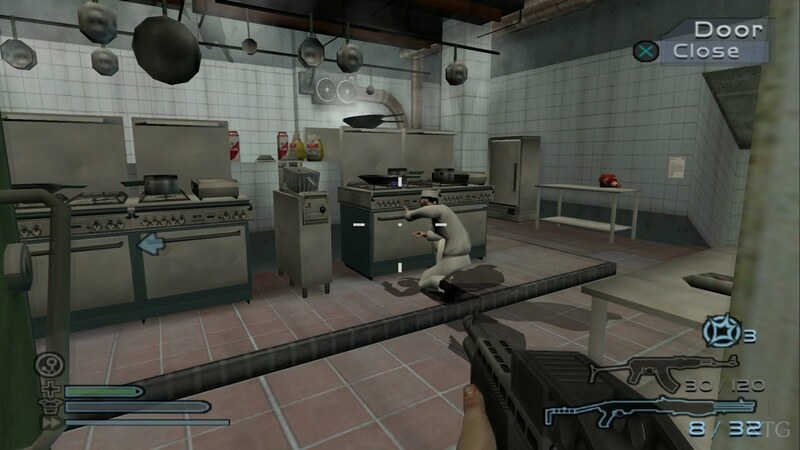 The action consists mainly of shooting but you also handle objects, e.g. a hidden safe containing vital information, or find items, for example keys in a closet. Checkpoints make sure you are not punished by replaying an entire mission should you die but the truth is I only died when I did something stupid. Veteran players will probably need to choose the maximum difficulty to enjoy Cold Winter. There are no boss fights and the few important villains are killed quickly although, naturally, they are more dangerous. 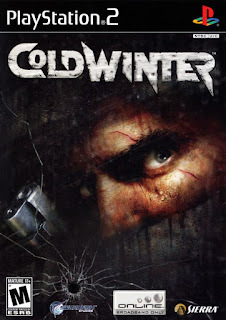 Cold Winter was not a game I had heard about before and it proved to be a pleasant surprise. Besides the detailed graphics and violent action, which are impressive right from the start, gradually I appreciated the story line too, especially the touching ending. I recommend it to all fans of first person shooters.